Rabbi J. David Bleich is an authority on Jewish law and ethics and bioethics. 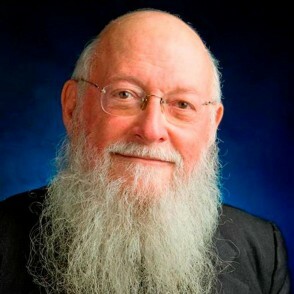 He holds the Herbert and Florence Tenzer Chair in Jewish Law and Ethics, is a professor of Talmud (rosh yeshiva) at Rabbi Isaac Elchanan Theological Seminary of Yeshiva University and heads RIETS’ postgraduate institute for the study of Talmudic jurisprudence and family law. Rabbi Bleich has also been teaching at the Benjamin N. Cardozo School of Law since 1981, with specialties in Jewish law and bioethics. His recent courses include Introduction to Jewish Law, Advanced Jewish Law and Jewish Law and Contemporary Legal Issues. Rabbi Bleich, spiritual leader of the Yorkville Synagogue in Manhattan, is the author of “Jewish Bioethics, With Perfect Faith: Foundations of Jewish Belief, Contemporary Halakhic Problems” (four volumes), and “Time of Death in Jewish Law and Judaism and Healing.” He has written extensively on the applications of Jewish law to contemporary social issues and on the interface of Jewish law and the American legal system. He is a Woodrow Wilson Fellow, a postdoctoral fellow at the Hastings Center, fellow of the Academy of Jewish Philosophy and a member of the Governor’s Commission on Life and the Law. Rabbi Bleich received a BA from Brooklyn College of the City University of New York, an MA from Columbia University and a PhD from New York University. He was ordained at Yeshiva Torah VoDaat in New York, and was conferred with Yadin Yadin ordination from Rabbis Moshe Feinstein and Mendel Zaks.